How did I end up here…? My name is Nick, this summer I will be hiking the Continental Divide Trail with my brother, Brian. This with be the climax of my triple crown and will be sharing the experience here with you all. 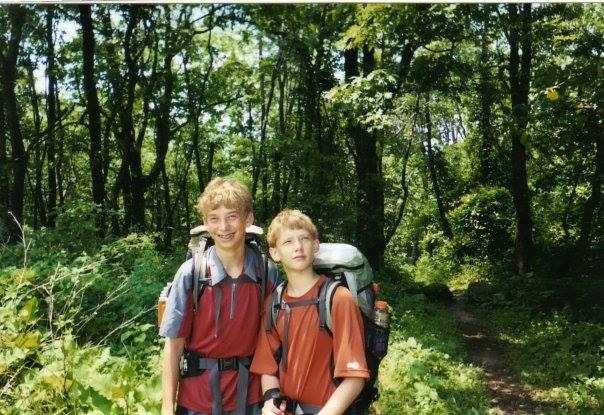 Nick (left) and Brian (right), first overnighter on the AT in Shenandoah National Park. I grew up in the Appalachian Trail (AT) town of Front Royal, Virginia. My brother, Brian, and I spent lots of time on that footpath and became accustomed to the AT culture as we grew up. This played a tremendous role in our development and our hobbies. Our interest of actual thru-hiking sparked when our mother set off to complete a section hike. It took her two years and she completed the entire trail in 2012. Yes, I know, she is a badass. We both completed a handful of sections with her and I know I fell in love with the trail even more during that time period. I knew that I would have to complete a thru-hike of that wonderful trail and figured the best time to do it would be right after graduating from college. 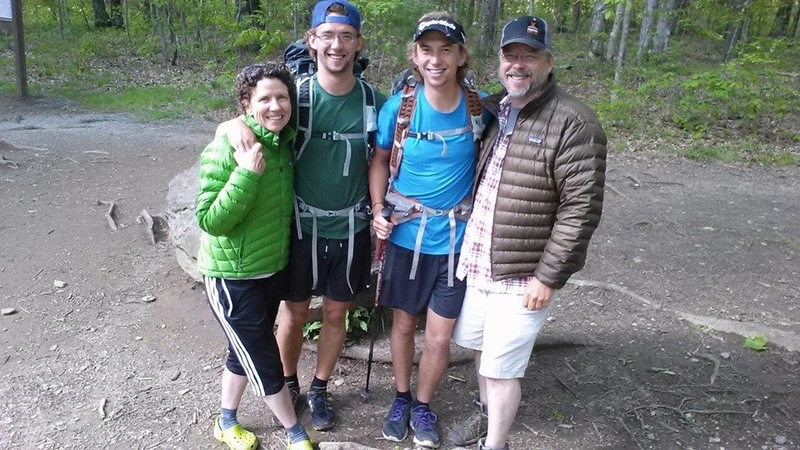 Brian and I with our wonderful parents as we start the AT. My brother and I graduated from college in the same weekend, and then we found ourselves on Springer Mountain to start our northbound thru-hike on the Appalachian Trail. Our start date was May 20th, yes, I know we did start late. We often heard this from others on the trali when sharing our story. Since we started so late we sort of had to give each other trail names. I became know as Top Nach, after I consistently ordered nachos throughout the first section of trail. It was a successful trip, everything went surprisingly well. I, without a doubt, knew that Brian and I would be able to complete the 2,650 mile trail. We both played college soccer and so we went into our hike with a higher level of fitness which helped tremendously. We summited Katahdin and finished our thru hike together together after 131 days on the trail, and without killing each other in the process. Just kidding, we do get along quite well. Somehow we also managed to never take a zero day (a rest day with no trail miles) in the process. As you may have heard already, completing this type of journey changes you, and it did change my life. Then I came out west. I moved out to Park City, Utah with my girlfriend at the time to chase the “ski bum” dream. Skiing became a passion for me after that winter as I was able to put in 80 days on the ski hill. Quite a change from only skiing a few times a winter back in Virginia. That spring I uprooted again and headed North to Montana. I spent the summer of 2015 driving the red buses of Glacier National Park. I am not sure how I got so lucky to fall into such a beautiful place and such an amazing job. 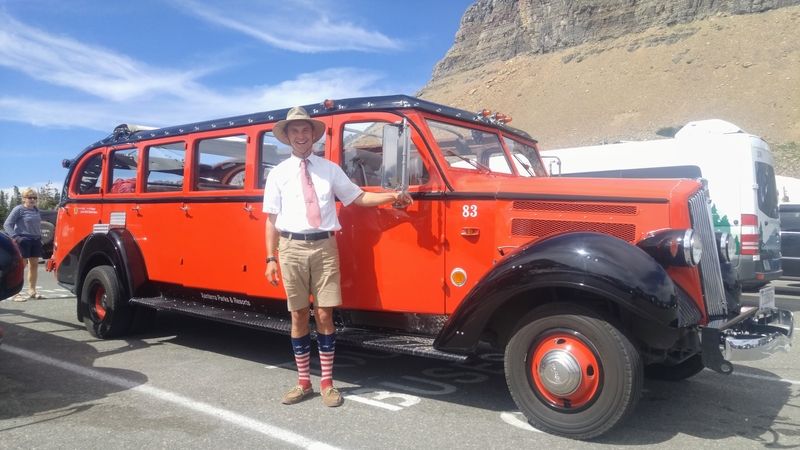 My job was to drive an historic bus and share the northern Rocky Mountains with guests. It was during this time I became a little familiar with the Continental Divide Trail, as Glacier National Park provides the Northern terminus. Once my summer in Glacier was wrapped up I moved back to Park City, Utah to once again work at the resort and fulfill my skiing dreams for another winter. It was during this time I decided that I would commit to thru-hiking the PCT in that summer. I engulfed myself with the planning and preparation. During February 2016 I transplanted to Mammoth Lakes, California to join my brother in exploring the Sierras. This gave me a little extra boost of confidence with the PCT as I was able to gain some knowledge and understanding of this amazing mountain range on the unfamiliar west coast. I did invite my brother to join me on the hike, however he was not able to. I still felt completely confident in my abilities going solo, although truthfully a little nervous. On April 30th my brother and a friend dropped me off at the Mexican border and I headed north. I remember being completely giddy once I started my second northbound thru hike and quickly fell into the groove. After 135 days I found myself standing at the Canadian border with some hiker friends. The hike went well. I did have a few injuries and rough patches, but I pushed on thru to complete the hike. At the PCT north terminus on September 11th, 2017. My bus and I on July 4th, 2017. Parked at Logan Pass, Glacier National Park, Montana. Since the PCT I have been doing my usual. Spending the winters skiing at Mammoth Mountain and then I spent another summer in big sky country. In the back of my head I’ve had one long term goal in mind and that is to complete the Continental Divide Trail and wrap up my triple crown. 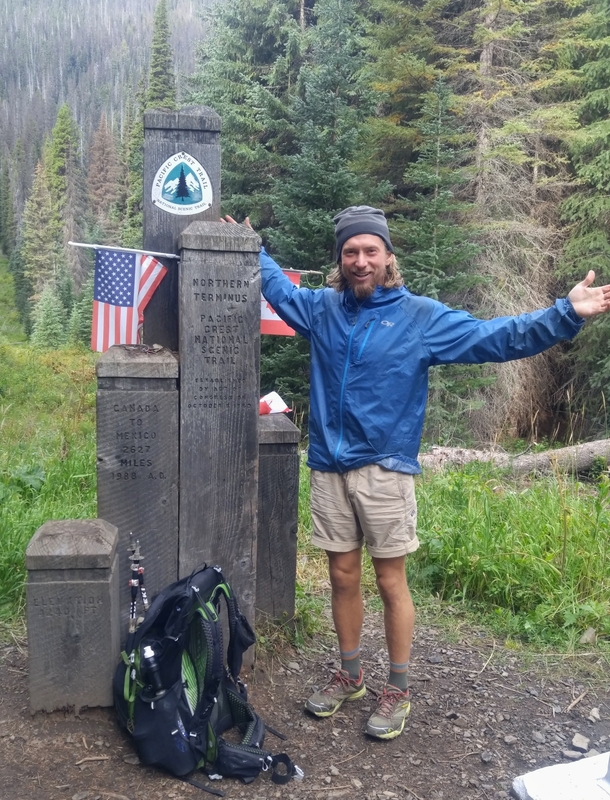 Once I finished the PCT I knew I would have to attempt and finish the CDT. So here I am. Just a lil over one more month until we leave the Eastern Sierra and head to New Mexico to start another chapter. My brother and I have booked our southern terminus shuttle for the 30th of April. This will also be the two year anniversary of the beginning of my PCT journey. I am looking forward to sharing this journey with you all. Nick. I’d prepared a lengthy response and bumped something on my iPad and lost it. Hopefully the e-gods will get it to you. Basically congrats and keep up the dream. I’ve enjoyed mine after retiring as I wander the roads and remote locations a few weeks at a time.